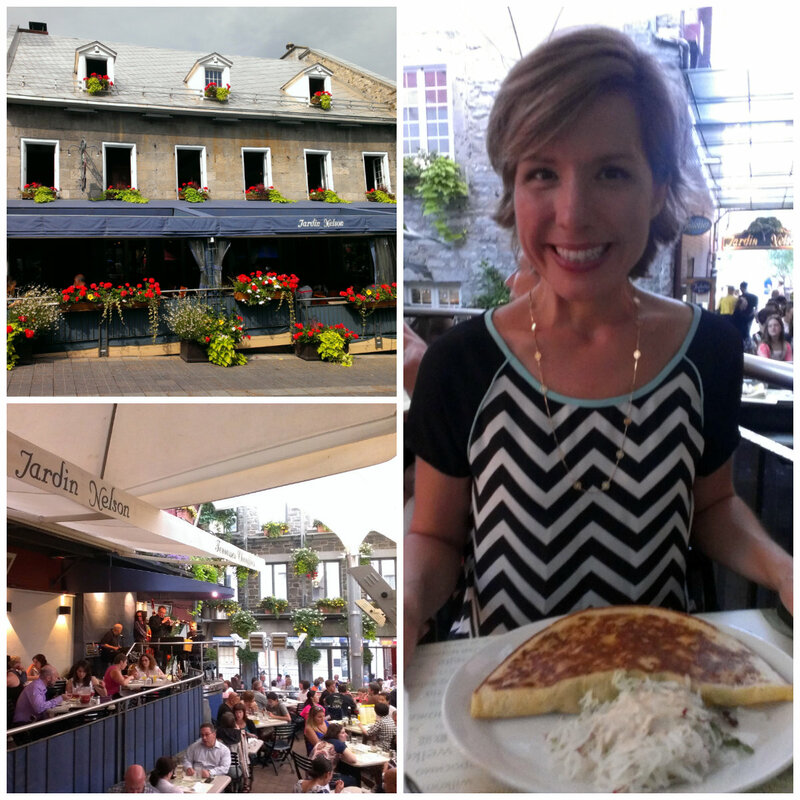 I was very excited about visiting the province of Quebec and some of the French-speaking cities and towns of Canada during my two-week Canadian adventure in July. After spending a few days in Ottawa and enjoying the Canada Day festivities there, I started making my way toward Montreal with my Aunt Georgann. 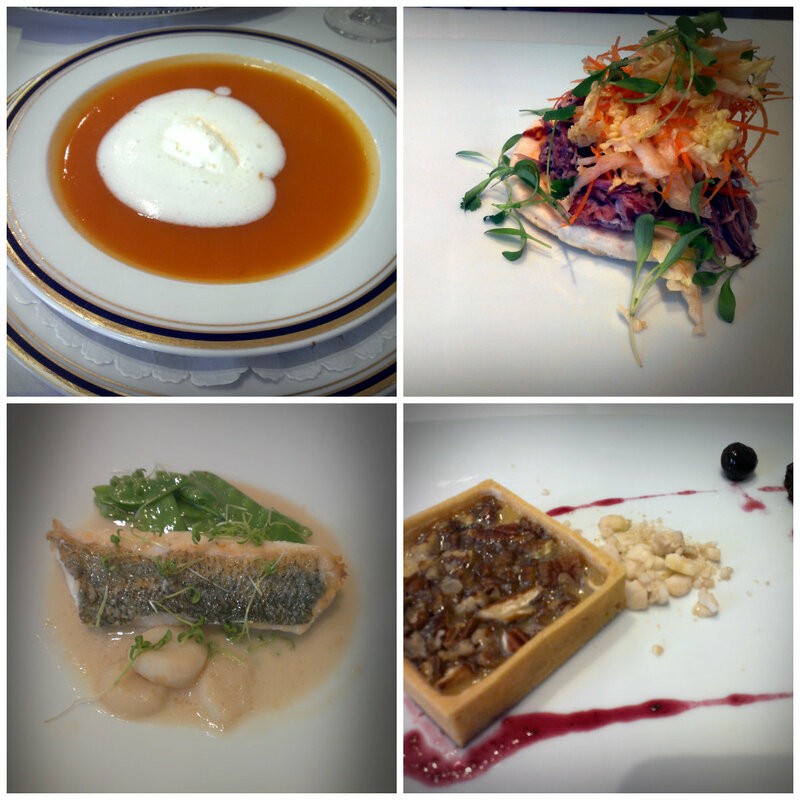 But first, we visited the Le Cordon Bleu Bistro at Signatures. 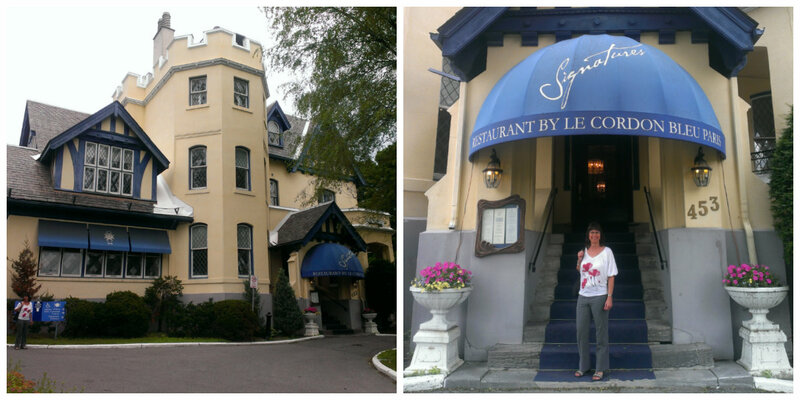 Prior to our trip, my aunt had discovered that Ottawa has not only a Le Cordon Bleu culinary school, but a restaurant associated with it. So we made reservations to dine there for lunch. While I was in high school, I had a short-lived dream to attend Le Cordon Bleu in Paris. I loved to cook (still do!) and thought it just might be the career for me. It wasn’t, and I didn’t get my culinary arts certificate, but I still have a fascination with this school and with gourmet cooking in general. We had a wonderful dining experience at Signatures and thoroughly enjoyed all of the courses we were served in the pretty dining room. Leaving with very full but satisfied bellies, we proceeded to drive to Montreal. Our first stop once in the rush-hour-traffic-filled city was the Jean-Talon Market to pick up some fresh goodies. That evening, after settling into our Airbnb accommodations (more on that at the end of this post), we feasted on our purchases. 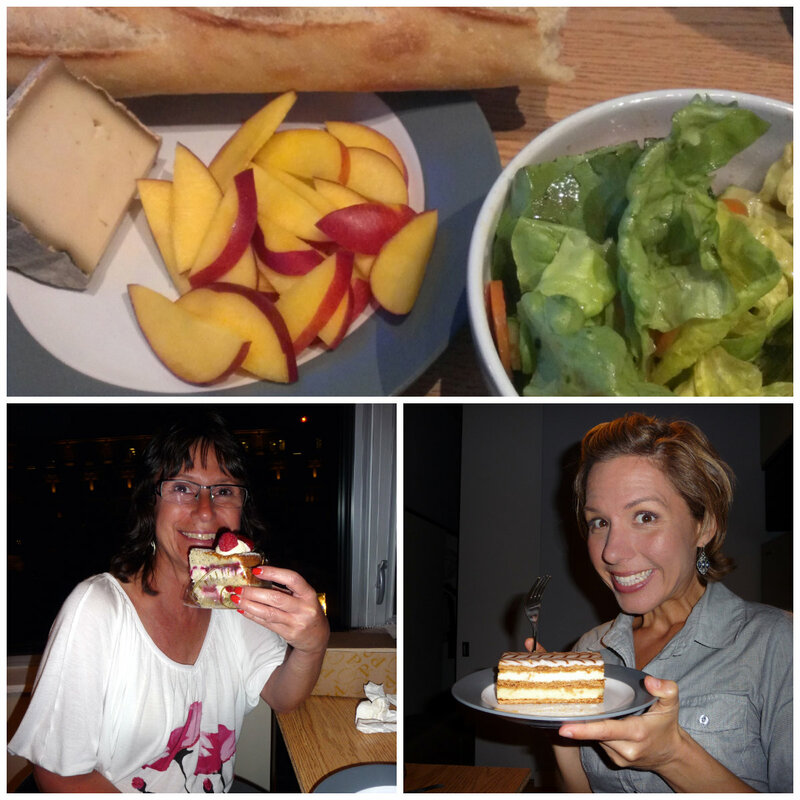 I look juuuust a little excited about my French pastry….. 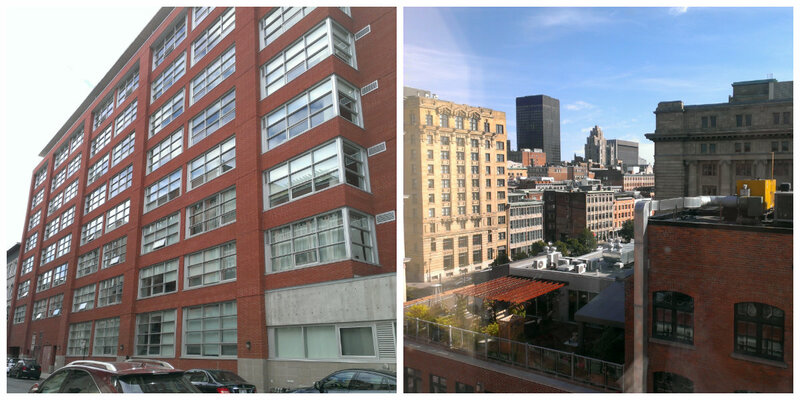 The apartment where we stayed was located right on the edge of Vieux-Montreal, or Old Montreal, and was perfect! We absolutely loved that area! Our first stop on this overcast day was the Notre Dame Basilica. Georgann and I have both traveled extensively throughout Europe and have seen many cathedrals, but I think we both agree that we’ve never seen one quite as ornate as this! It’s pretty amazing. 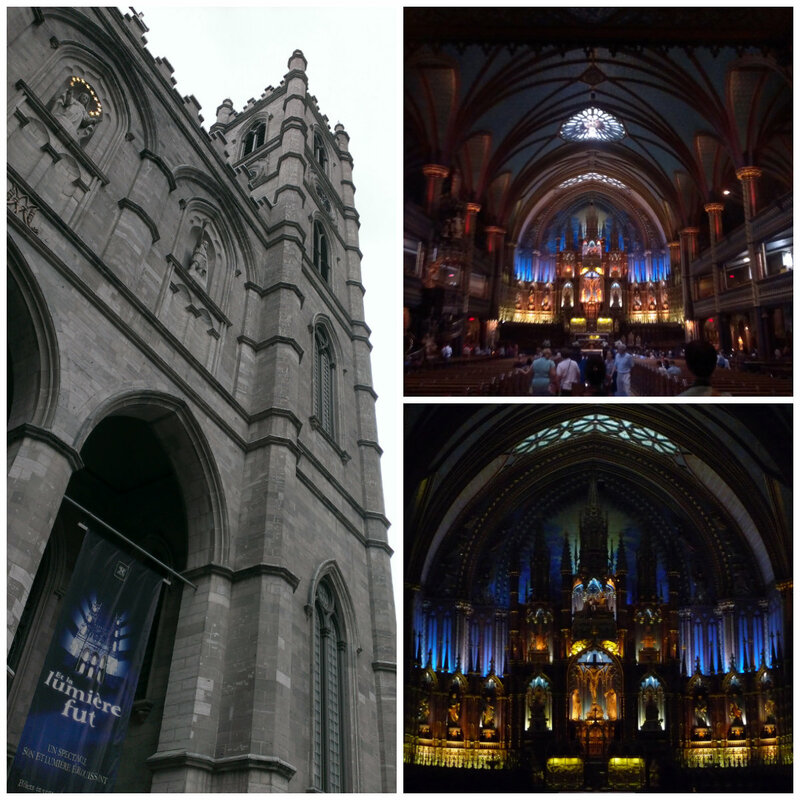 We joined the free, twenty-minute guided tour and learned about the history of the basilica, which intertwines with the history of Montreal. After walking through the basilica taking pictures, and catching a quick glimpse of the contemporary chapel located behind the nave where mass was taking place, we exited and made our way to the Metro. Transportation cards in hand, we headed to the Museum Quarter. We had considered visiting the Musee de Beaux-Arts since we both thought entree was free, but after arriving and seeing the $20 ticket prices, we decided to forego that experience and save our money for another museum we were looking forward to visiting more. Since it was lunchtime at this point, we looked for a place to grab a bite to eat while we walked along. We saw a sign for SoupeSoup and realized the restaurant was located in the basement of a building. We were a bit uncertain but decided to give it a try anyway. Good decision! 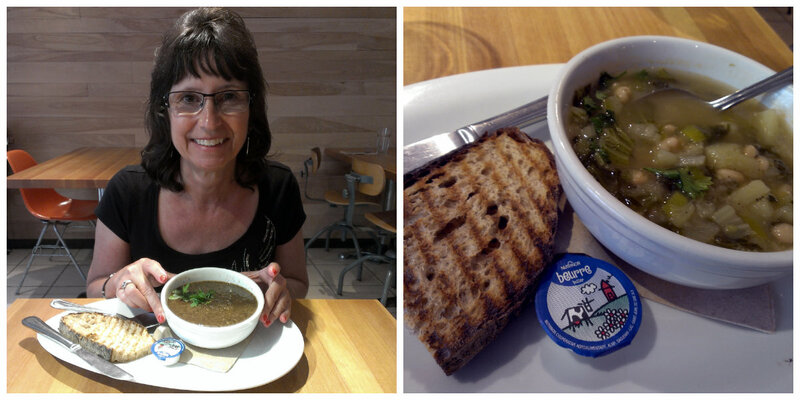 We both enjoyed our extremely yummy soups and I especially enjoyed the amazingly delicious grilled bread that was served with it. From there we took the Metro back to Vieux-Montreal and just wandered around this quaint part of town. We walked down the famous Rue Saint-Paul back to our apartment where we rested for a bit then freshened up for dinner. I had heard about Jardin Nelson prior to our trip and knew it was a very popular restaurant. Despite the fact that I had a feeling “popular” translated into “full of tourists”, we decided to dine there anyway. Another good decision! 🙂 We sat outside in the courtyard and listened to a live jazz band and that right there is why I gave this restaurant the “Best Atmosphere” award of our two weeks in Canada. I loved it. A lovely start to our stay in the fabulous city of Montreal! As in Niagara Falls and Ottawa, I reserved our accommodations in Montreal through Airbnb. This site has not let me down yet and I look forward to using it for years to come! As mentioned before, our accommodations were located just a block from Vieux-Montreal, which was the perfect location for us. The apartment was very modern and clean and we loved it! Highly recommend! We had been planning on taking the train from Ottawa to Montreal as ticket prices were only $39 per person prior to our departure from the U.S. However, I quickly learned the wisdom of purchasing train tickets in advance as the prices had gone up to $69 per person once we arrived in Ottawa. That’s when we started thinking about renting a car for a day and just driving. And after the prices jumped again to $125 per person, our decision was made for us. I love to drive anyway and the ride was smooth until we neared the city and hit some extreme traffic. But I think we still made the right decision. And for those interested, Enterprise has the cheapest one-way fees, which is why we rented the car through them. For transportation while in the city, we each purchased a 3-day metro pass. They are $18 per person and can really save you money as a one-way ticket is $3, and a 1-day pass is $10. They can also be used on the bus and we found both modes of transportation to be very easy to navigate. I highly recommend a visit to the Notre Dame Basilica! It truly is a masterpiece. Entrance is $5 for adults and includes a free 20-minute guided tour. 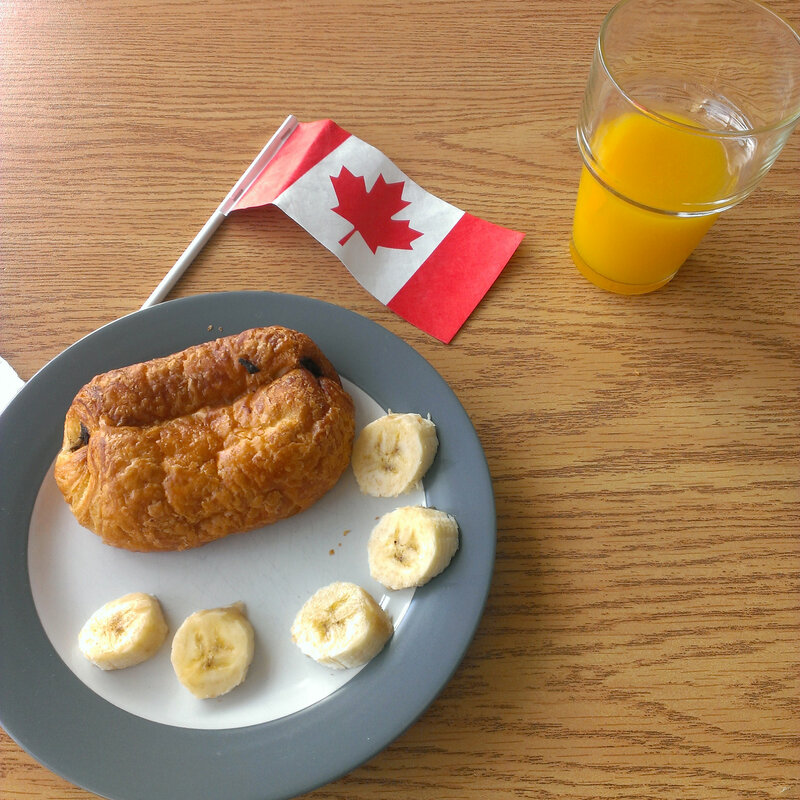 Can you tell I’m just going through your blog looking for tips on Canada? Another brilliant post, very informative. Thank you! I’m glad you’re enjoying them and I hope you’re able to take away some tips that might help you on your future trip.